There are five key benefits to London boroughs of food growing in schools: Health, Education, Community, Environment and the Economy. Local authorities need a proactive response, and many are already reaping the rewards of food growing. 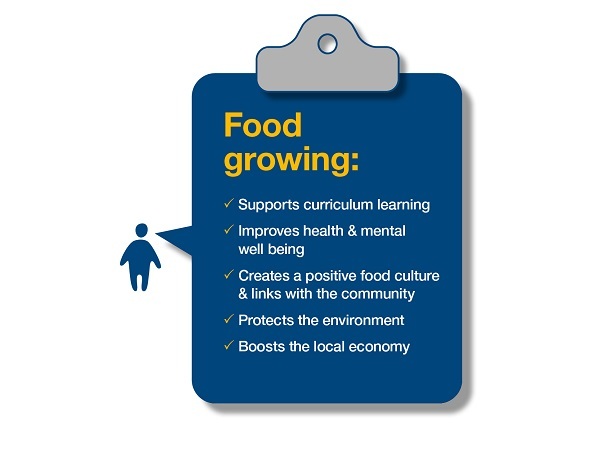 Vastly increased take-up of school meals, positive effects on public health, higher educational attainment, greener environment and a boost to local economy through employment and food-based enterprise are just some of the results of food growing. These benefits are maximised by starting in schools. Food growing supports young people to pick up a healthy attitude to food for life, with increased quality of life, employment skills and a stronger sense of community all linking to a bigger long-term cost saving. Whether a school is large or small, rural or urban, when they place food at the heart of school life, and work to win pupil, parent, staff and management buy-in, they succeed. Local authorities can support this coordinated or ‘whole school’ approach to food growing, shown to create demonstrable impact in just about every area. Break-even on school meals does require 50% take-up but using food grown at school in meals has seen take-up rocket because young people are excited to eat food they have grown. The Food For Life Partnership (FFLP) evaluation showed a 13 percentage point increase in primary take-up of school meals, and 20 percentage point increase in secondary, following their participation. Twice as many primary schools received an Ofsted rating of Outstanding following their participation in FFLP. Funding can be external: the Phoenix High School in White City has attracted £70,000 of Big Lottery funding a year for their flagship school farm, employing two full-time members of staff and selling produce to the public three times a week. Sponsorship is available: Catering suppliers such as ISS are sponsoring equipment e.g. greenhouses in schools like Lowther School in Richmond, getting more school-grown vegetables on the menu at a lower cost. Health: Food growing improves health and mental wellbeing. 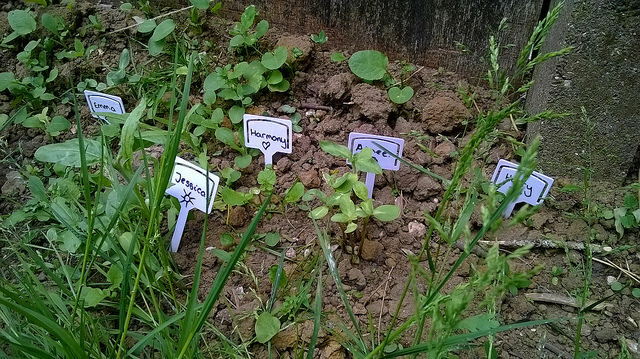 The Department of Health’s latest obesity strategy prioritises food growing. People engaged with or exposed to local food growing increase their intake of foods proven to prevent obesity. Food growing is a tactical response to the obesity crisis – now at 27% nationally. Research shows that young people involved in food growing pick up healthy habits and choices that decrease health and social care costs for local authorities across the longer term. Health authorities are now actively investing in food growing - NHS Dudley estimate the five spaces they funded will deliver annual savings of between £770 and £4,900 per head. The Garden Partners project – a partnership between Wandsworth Council and Age UK – demonstrated a health costs saving of £10,900 per participant. These outcomes help to meet the strategic aims of Health and Wellbeing boards for reducing health inequality. Growing food improves not only physical but also mental health, reported through outdoor exercise, social bond formation and increased sense of purposefulness. Metropolitan housing in Tower Hamlets reported that food growing helped build a stronger sense of community on their estates and reduced anti-social behaviour. Residents and neighbours who previously did not talk to each other became friends. New communities are now being designed around food growing. The amended Planning Practice Guidance requires the protection of existing growing spaces as well as the development of new ones. Growing food helps communities vulnerable to food poverty become more self-sufficient. Garden Organic’s Master Gardener project trains people in the skills needed to grow locally and reduced overall spends on food in participating households by 29%. Food growing contributes to the ‘green safety net’ - increased planting compensates for rising temperatures. In Manchester a planting increase of less than 10% would compensate entirely for the projected temperature rise of 4% over next 80 years. More planted spaces helps reduce the impact of flooding in urban areas by improving overall ecosystem services. In a similar way, the shelter from cool winds and shade in summer provided by planting and growing reduces energy consumption. Food growing also reduces landfill through increased composting and encouraging pro-environmental behaviours. Food growing employability and enterprise programmes help build a stronger local economies for the future. 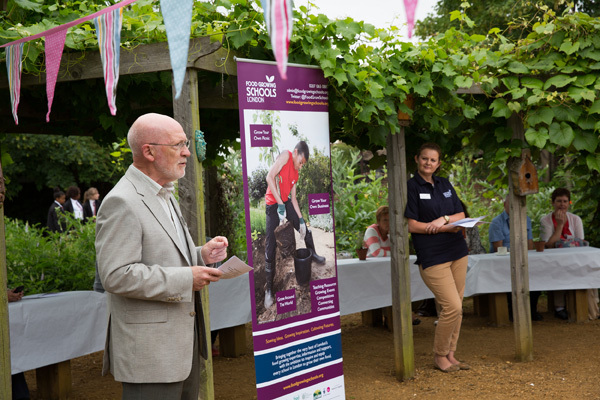 The Soil Association’s London Farm Academy engages ten schools over three years to fully integrate farming, growing and food careers into the curriculum. It has already delivered over 100 school farm markets. Urban food growing also shows increased employability statistics and economic development for school leavers, as with Stoke-on-Trent’s Urbivore scheme, where a city farm on a disused golf course created five jobs, 26 apprenticeships and 55 mentoring and volunteering roles. Food growing start-up economy remains small nationally but significant for communities where these initiatives flourish, with commercial sales of locally grown food increasing through the establishment of allotment/city farm-based community businesses e.g. local food provision through ‘veg box’ phenomenon. A Greener local environment provides a general boost for businesses in areas where planting and food growing takes place. Nurture and support existing growing initiatives in local schools and create local flagships. Develop a local action plan for delivering a borough-wide ‘whole school’ approach to food. Identify existing community food growing groups and enterprises to engage with and support. Consult with local people, community groups, businesses and social landlords about food growing ideas and encourage them to work with their local school on food growing.